What is Linux and what are “Distros”? Firstly, let’s cover some basic terms. Just like Windows and Mac OS X, Linux is an operating system, and not just a simple one, it’s the most secure, stable, open-source operating system there is, and the best part is it’s completely free. Generally, these specialized distros aren’t really recommended for everyone, they’re great for people that actually need them, but they’re not that great for general use. So if you’re not a gamer it doesn’t make sense to use a gaming Linux distro, though technically you still can. You can customize and install any (compatible) software on any distro, no matter the type. We’ll focus on distros for beginners that are good for general use, without the need for complex installation and customization tasks. We will keep it simple and cover the best beginner-friendly Linux distros. We will begin with distros for those coming from Windows or MacOS, distros that are lightweight, optimized and run well even on an older machine, and perfect as daily drivers. 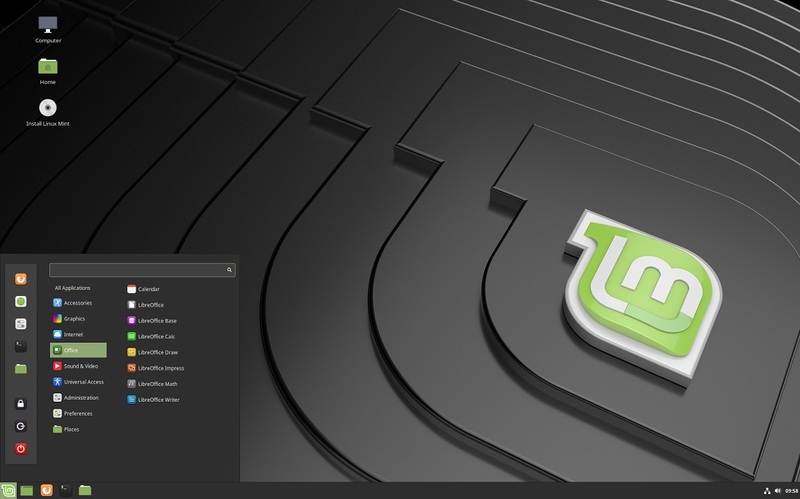 First on the list is Linux Mint, which was designed for ease of use and a ready-to-run out-of-the-box experience. Anyone that switches from Windows will find this distro very intuitive and will feel right at home. The installation itself is easier than most Linux distributions, and it comes with all the required software to get you up to speed. Another thing, unlike most Linux distributions, Mint includes proprietary third-party browser plugins, Java, media codecs etc. There are different desktop editions of Mint including Cinnamon, MATE, and Xfce. Cinnamon represents the most modern, innovative and full-featured desktop with all the bells and whistles, it’s slick and beautiful. MATE is based on a classic desktop environment and its main feature is stability. And finally, Xfce is the most lightweight edition, and will run comfortably on any configuration, old or new. Best Linux Mint edition? There’s no right or wrong, simply put it’s the one that fits your requirements best. Next in line is Ubuntu, and chances are, if you ever searched Linux on the Internet, you have surely come across this one. 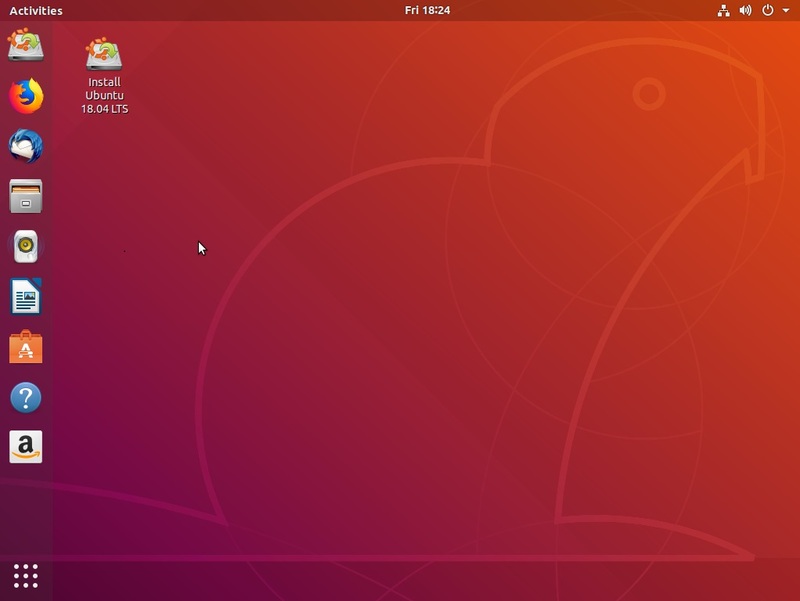 Ubuntu is surely amongst the best Linux distros out there, since originally it was the first Linux OS distribution designed with the aim of simplifying Linux and offering it to the general public. Installing Ubuntu is a breeze and it also comes with all the functionality you need out-of-the-box. It features a Software Center, so finding and installing applications is effortless. Being the most popular Linux Distro, it has the biggest ever-expanding community, with regular updates ensuring that your system is always secure and up-to-date. It’s the most widely used distro out there, both for servers and desktops. There’s a comparison of Linux Mint and Ubuntu here. 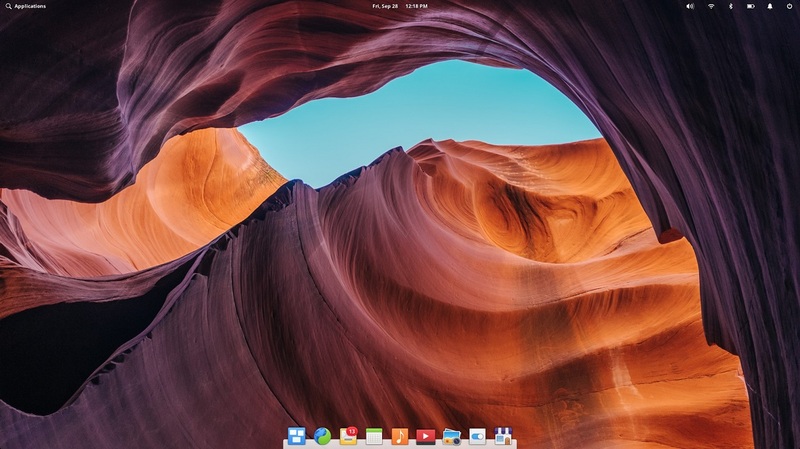 Elementary OS is one of the, if not THE best looking Linux distro. It features many custom apps including Photos, Music, Videos, Calendar, Terminal, Files and a custom desktop environment called Pantheon which I’m sure that users who come from macOS will know to appreciate. It’s based on Ubuntu so it comes with all the known benefits, from easy and fast installation to an Appcenter for quick setup. It’s a fairly light and stable distro which makes it run on almost anything. Regular updates are ensured, so your system will run like a dream. 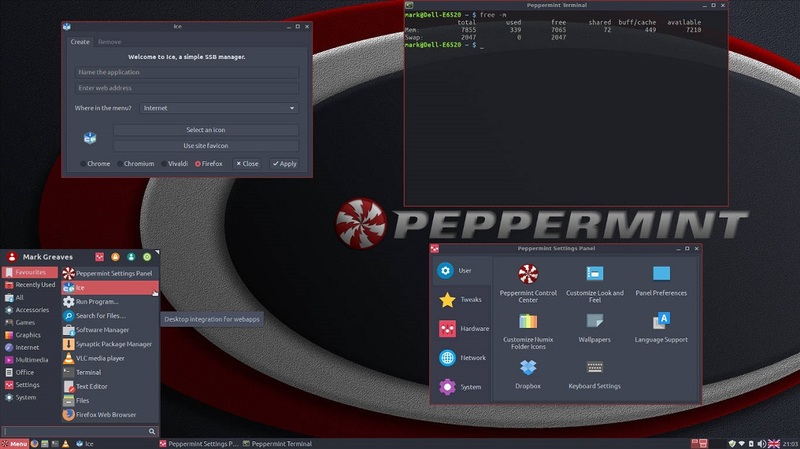 Another great lightweight distro is Peppermint. It’s a stable, cloud-oriented distribution based on Ubuntu. What makes this distro special is it’s unique desktop environment which is kind of a hybrid of LXDE and Xfce, it resembles Windows UI, so again, it’s great for those switching from Windows. Another strong point of this distro is its ability to be easily integrated with web apps, through its Ice application. All in all, I would definitely recommend trying this distro, especially cause of its extremely low system requirements, and quite simple UI. Moving right along, we have Solus OS and this one is a little bit special. 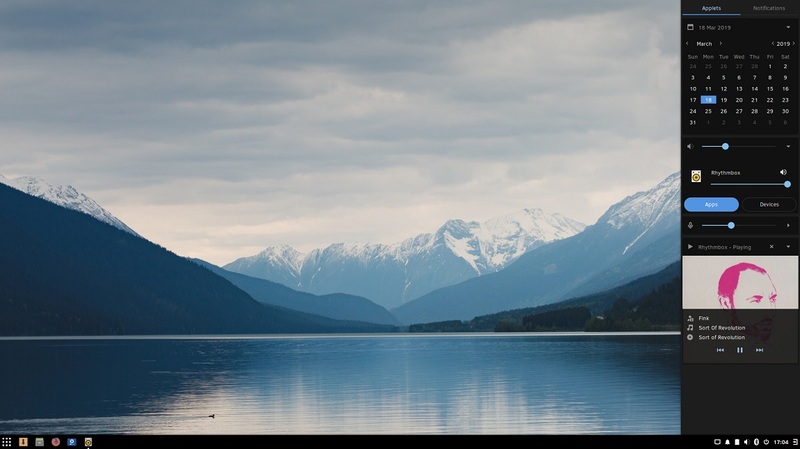 It’s a completely new, and beautiful Linux OS that isn’t based on anything. It’s kind of a fresh start, and this is not a bad thing at all. Everything is built in-house and it comes in 3 flavors, from the fully featured Budgie edition, to the more familiar Gnome version, and finally to the most lightweight MATE version, so you definitely have something to choose from. It’s a simple rock solid OS, updated frequently, so if you are tired of those Ubuntu-based distros and want to try something new, this is the one. Manjaro Linux is a distro that recently has gained popularity and with good reasons. It’s a fast, beautiful, user-friendly, desktop-oriented Linux OS distribution. It features a user-friendly installer, and it comes with everything you need pre-installed. The highlight of Manjaro is its amazing hardware support, thanks to its hardware detection manager, so you won’t need to worry about installing additional drivers. 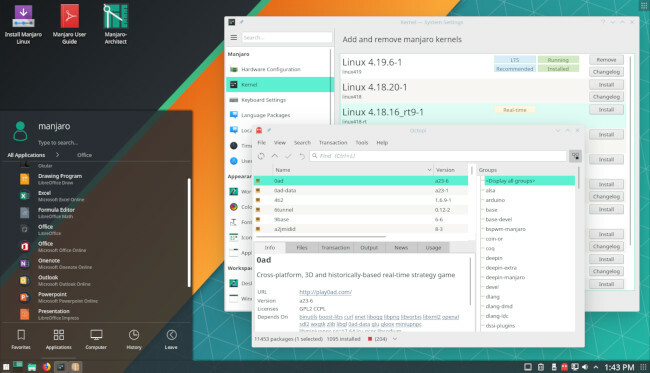 And if you find yourself stuck with a problem and looking for support, Manjaro has a great community ready to help you out. Some may argue that Manjaro should not be used by beginners, so beware, though everything can be done via the GUI and it’s a super-powerful and great looking distro. 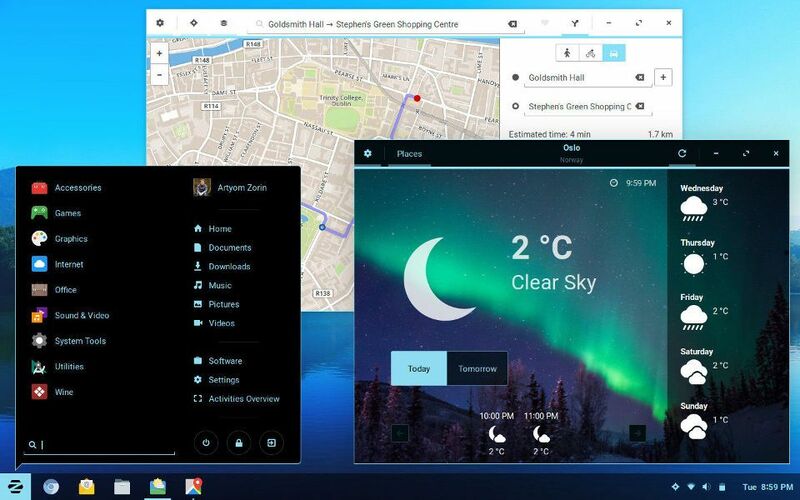 Another Linux distro which helps Windows refugees is Zorin OS. It’s an Ubuntu-based well designed and polished distribution. Without a doubt, its desktop environment resembles the all familiar Windows desktop, ensuring an effortless transition into the Linux world. Of course, it comes with a huge list of preinstalled software. Another highlight is the amazing theme engine called ‘Zorin look changer’ which offers high customization options and finally, it comes with Wine and PlayOnLinux so you can run most of your beloved Windows apps and games here too. The best thing about most of the Linux distros is that you can try them without installing them by using a bootable USB drive, so I would encourage you to go and get an ISO and try out all the listed Linux distributions and then choose the best one. Have fun! If you’re feeling overwhelmed, just choose the distro that looks best to you. You can install most of the software on any distro of your choosing, as long as it’s compatible. All the distros we featured in our article can run pretty much the same pre-installed apps. Even if an app is not pre-installed in the distro you’re looking at, it’s pretty easy to find and install it using the distro’s Software/App center. It’s all done via the GUI. If you’re moving away from Windows or Mac and want to keep using a similar interface, then choose one of the distros that specialize in that, like Peppermint, Linux Mint, Zorin, Elementary etc. Don’t start with a distro like Arch Linux. Although a true powerhouse and a great distro, it’s not really recommended for beginners. Though, if you want to really learn Linux and how everything works, it’s a great starting distro. Either way, I wouldn’t recommend it as your main OS if you’re a beginner. You can always dual-boot, run a virtual machine, or try a distro via a live USB. So you can keep using Windows/Mac, but switch to a Linux distro anytime. Dual-booting would be best if you don’t want to quit your main OS cold turkey. Quickly go through the distro’s website to learn more about the distro before using it. This way you’ll know if it actually meets your needs beforehand, instead of using it and reinstalling a different distro afterward. If you’re a beginner, it’s understandable that you’ll have a lot of questions about Linux distros and Linux in general. We’ll try to cover some of them here, but you can always google anything. What are standard and rolling release cycles? Linux distros tend to use two types of release cycles: standard releases and rolling releases. Some people prefer the concept on standard release since updates come less frequently and generally, the software tends to be more stable since it’s well tested, while others opt out for rolling releases which means frequent update delivery. So if you like stability and “peace of mind”, go with a standard release cycle. If you like the latest software and drivers, go with a rolling release cycle. 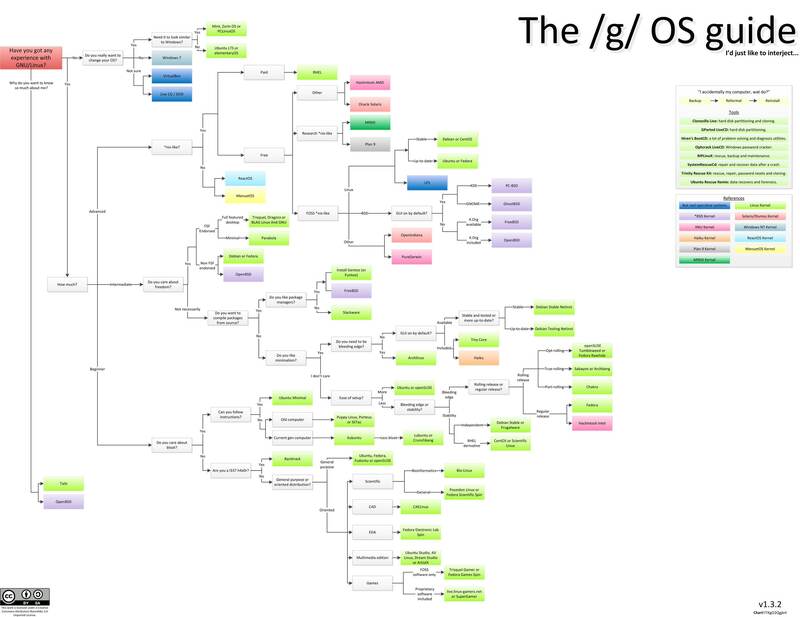 Is everything in Linux done via the command line interface? No. That’s a common misconception. You can do pretty much everything via a GUI. Some tutorials you find online may have instructions only for the Terminal (CLI), but you can find an alternative tutorial that uses a GUI tool. Can I run Linux on my PC/hardware? Chances are, yes, you can. It’s best if you check the distro’s requirements, but most Linux distros are well-optimized and don’t need powerful hardware, especially the lightweight ones. How to install a distro? You’ll need to check the distro’s official site or google a tutorial. But basically, you need a USB flash drive/CD drive, you need an ISO image, and a tool to burn the iso image to the (bootable) drive. There are a number of tools that do this in a couple of clicks. Some even download the ISO for you. Once you have the drive ready, you just boot your system into the drive and follow the easy on-screen steps. Should I use an antivirus on my Linux distro? Depends. In most cases – not really. You should still follow security principles and have common sense when it comes to downloading files, running scripts etc. What distro should I use for my server? 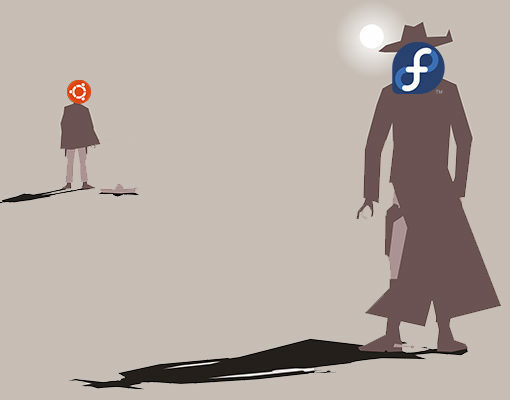 Either CentOS or Ubuntu, depending on the requirements of the software you’re planning on hosting. Feel free to leave a comment below. We’ll try and update this page with more info in the meantime. Manjaro? Why? New users will be completely befuddled when an issue arises due to its rolling nature. Yeah, rolling releases sometimes have small unexpected issues, however that’s why there are forums. I still believe it’s better than point release distros where catastrophic system failure occurs when you go from one version to another. I’m a Linux user, by no means a pro. I’ve installed Linux on PC’s for others. Describing the different ‘flavors’ mate, cinnamon, xfce… I found that for new users it’s usually best to just install cinnamon, and coach them through things. I’m sure I’ll get push back on this approach, but my goal is to get people familiar with a new OS, and try to get them to do a little research through forums and YouTube videos. Of the desktop environments Cinnamon is the least stable and Xfce is the most stable, Mate.falls in the middle. Every week a panel of users and developers test linux distributions on youtube at bigdaddylinuxlive. I have tried three of the distros. And removed all because of the over use of passwords. And have found no way around them. Spent more time entering passwords than anything else. That’s why Linux is secure. It requires your password everytime you want to make changes on the root/system. Means no malware/hackers could ever touch your OS unless they know your password. Every commercial OS (Windows, Mac, Android if they wanted to and their business model wasn’t built on planned obscelence, iOS… even going back to earlier days like DOS) was a rolling release. If a Distro can’t handle this cleanly, it shouldn’t even be considered beginner-friendly. 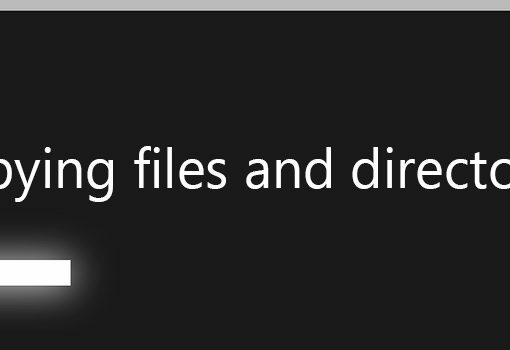 In fact, you have to question the technical chops of those who create Distros that can’t even manage a rolling release. The ability to rollback to a previous state, should a rolling release encounter a problem, should also be standard. Linux laptop makers that pre-install a Distro or their own spin, should also build in a mechanism that allows a complete factory reset. This way you get the “factory” OS back, a clean system (in case of issues, reselling, etc). This should also be standard. It’s crazy that we’re still doing system updates via arcane methods. It’s even crazier that people defend this. Until these things are supported (rolling releases, system resets) as standards, Linux will always feel flaky and not ready for the masses.